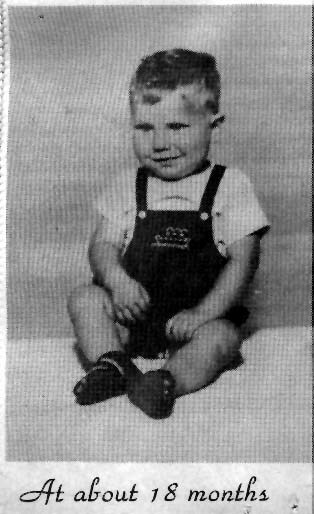 April 29,1951 ; A happy day for Ralph and Martha Earnhardt : Wasn't he just the cutest thing you ever did see? There was never any doubt in Dale Earnhardt's mind about what he wanted to be in life. As a young boy watching his father Ralph race -- and win -- in Stock car events throughout the Southeast, Dale developed a love for the sport that would ultimately fuel one of the most successful careers in the history of motorsports. In his late teens, Dale began racing Hobby-class cars in and around his native Kannapolis, NC, working full-time by day, welding and mounting tires, and either racing or working on his cars by night. He financed his own effort, oftentimes having to borrow money to buy parts and pieces to run on the weekends, hoping to win enough to pay back the bank on Monday. In 1973, Ralph Earnhardt died of heart failure while working on his race car. Crushed by the loss, Dale eventually learned to cope by becoming more determined than ever to be successful as a driver. He continued to compete on the Sportsman circuit, racing at speedways near his home such as Hickory, Concord, and Metrolina Fairgrounds. Dale made his Winston Cup debut in 1975, finishing 22nd while driving Ed Negre's Dodge in the World 600 at Charlotte in a deal put together by CMS President Richard Howard. Over the next three years, he made a total of eight more starts, the last of which was the 1978 Dixie 500 at Atlanta, when he drove a second car for Rod Osterlund. Earnhardt finished fourth in the race, one spot behind Osterlund's regular driver, Dave Marcis. Marcis left after the 1978 season to start his own team, leaving Osterlund with a list of candidates to fill the seat in his Chevrolet. He decided to take a chance on the young driver, and offered Dale his first full-time Winston Cup ride for the 1979 season. Earnhardt considers the offer the biggest break of his career. In his first full season of competition, Dale scored his initial Winston Cup win at Bristol in just his 16th career start. Eight races later, he notched his first career pole at Riverside. By the end of the season, he had driven to 11 Top 5 finishes and beat Harry Gant, Terry Labonte and Joe Millikan for the rookie title in one of the most competitive rookie battles ever. In 1980, with a young, yet solid team, good equipment and the determination to prove he belonged at racing's highest level, Earnhardt beat tough veteran Cale Yarborough for the NASCAR Winston Cup Series title to become the only driver ever to win the rookie crown and the series' championship in consecutive seasons. Midway through the 1981 season, Osterlund sold his team to Jim Stacy. Earnhardt, disenchanted with the performance of the new team, left after only four races, deciding to finish the season driving for Richard Childress. By the end of the year, Childress realized that his cars were not performing at a level that justified a talent like Earnhardt's, so he urged Dale to accept an opportunity to drive for the well-established team of Bud Moore and big-dollar sponsor, Wrangler. Earnhardt accepted the ride in the #15 Fords, in which he competed for two seasons, winning three races and finishing 12th, then 8th in the points. Meanwhile, Childress, with driver Ricky Rudd, was building his team into a championship contender. In the off-season between 1983 and 1984, Earnhardt made the decision to rejoin Childress. Driver and owner immediately began a program to achieve the level of performance both believed would take them to a NASCAR Winston Cup championship. Neither could have envisioned the success they would achieve together. The only Winston driver to win Rookie of the Year and the Championship in successive years (1979, 1980). Career winnings in excess of $40 million. Earnhardt has won nearly every major event and title available to NASCAR Winston Cup drivers, including the Daytona 500. In February 1998 after 20 attempts, Dale Earnhardt captured the only major victory that had eluded him throughout his career, the Daytona 500. The win was the 71st of his career and came in his 575th Winston Cup start, placing him sixth on the all-time wins list. 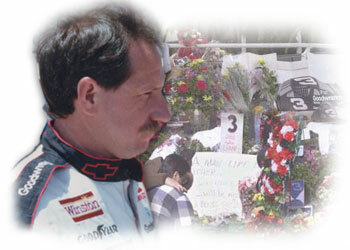 Earnhardt added to his legacy in 1998 when NASCAR honored him and his father Ralph as two of the 50 Greatest Drivers in Nascar history. 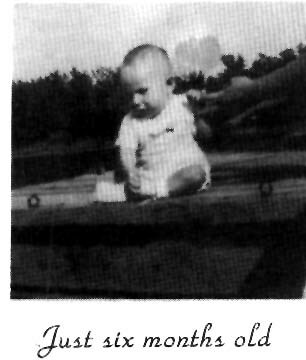 Two years later, Earnhardt's son, Dale Jr. followed in his father's tire tracks, joining his dad on the Winston Cup circuit. The father experienced a career renaissance — nearly winning a record eighth Winston Cup championship — finishing second to Bobby Labonte in 2000. In February 2001, Dale Earnhardts, elder and younger, opened Daytona Speedweeks together as two members of a team in the Rolex 24 Hours at Daytona, an annual sportscar race. 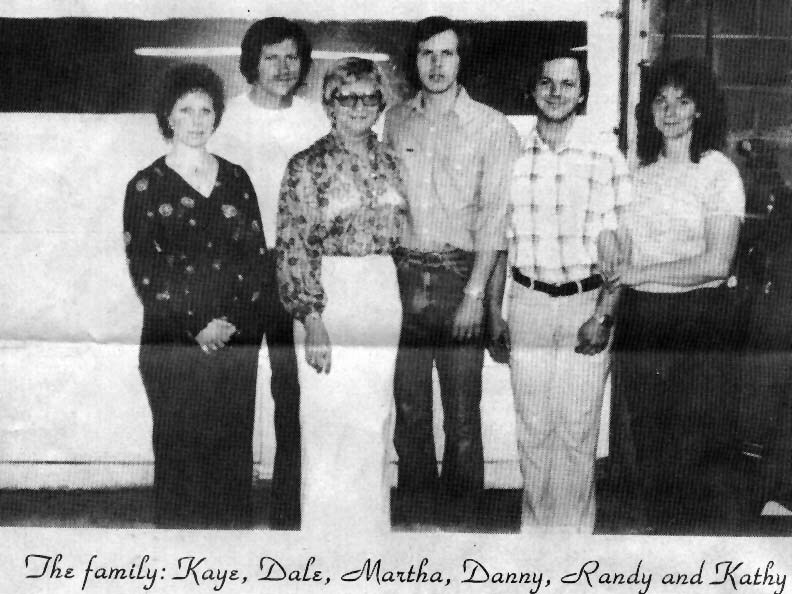 The Earnhardts finished second in their class and fourth overall, proving to any doubters that Dale and son were more than just stock-car drivers. 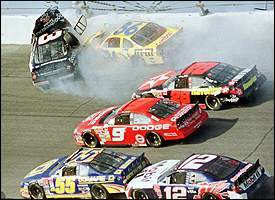 The death of Dale Earnhardt on the last lap of the 2001 Daytona 500 moved America like no other athlete's death ever had. Earnhardt was an original, a one-of-a-kind guy who captured the hearts of American stock car racing fans and the general public as well. With a twinkle in his eye and a devilish grin on his face, Earnhardt shoved and pushed his way to the front. With unparalleled determination, he willed his race cars to victory. He was loved not so much for the number of checkered flags and championships he won but for the spectacular style with which he won them. Dale has certainly earned this title as he is a seven time Winston Cup NASCAR Champion, winning the title in the years of 1986, '87, '90, '91 and '91. This father of four is certainly a tough act to follow and yet he has two sons who are trying to do just that. 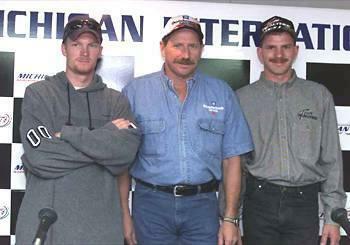 Both of Earnhardt's sons, Kerry and Dale Jr. (who is also affectionately called "Little E") are both following in their father's footsteps and have taken up careers in racing as well. As with many racing families, Dale Sr. got his first introduction to the sport by watching his father, Ralph Earnhardt, race. Ralph was the winner of the 1956 NASCAR Sportsman Division title never had the opportunity to watch his son race, as he passed away in 1973. He was the victim of heart failure and it was while working on his race car that he suffered the fatal attack. Dale himself would not start his racing career until two years after the death of his father. 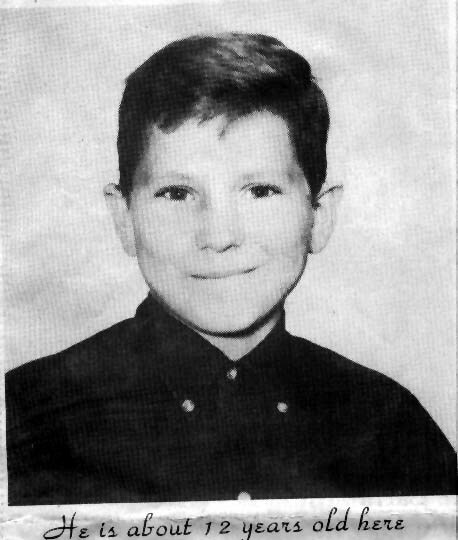 Dale Earnhardt started his racing career in 1975 and four years later, in 1979 he would win the Winston Cup Rookie of the year. His first NASCAR Championship come in 1980 of which was not to be his last. Besides the seven Championships, Dale also finished 2nd in the Winston Cup points in 1989 and 1995. His racing statistics are impressive but also impressive is the fact that by 1998, his career earnings tallied well over $300,000,000. These winnings at the time, would exceed the winnings of any other motorsports driver whether it be NASCAR, Indy or Sprint Cars. 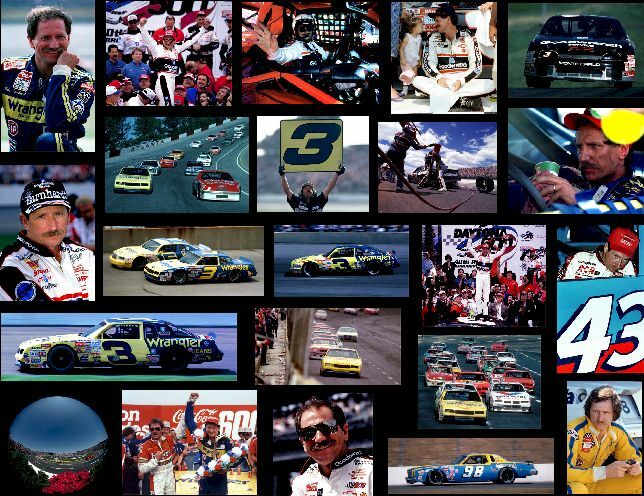 Certainly the earnings are astounding but equally so is that Dale Earnhardt, Sr. is the first driver in the NASCAR Winston Cup Series history who ever won the Rookie title of the year one year and the following year, went on to win his first Championship in the same series. Earnhardt's first win was in April, 1979 at the Bristol, Tennessee track and though that win was special, I'm sure that no win meant more to him than when he won the Daytona 500 in February of 1998. After 20 years of trying and 20 years of falling just short, he had "finally" done it. Emotions ran high that day for everyone who was there and for those who were able to see the race televised. "Big E" had finally realized his dream, he had won the Daytona 500! Every member of every other crew had formed a line on the way to Victory Lane and waited there to congratulate the driver of the #3 car as he made his way to the Winner's Circle. Dale is married to Teresa, his third wife and they reside in the state of North Carolina. When time allows, he enjoys spending tme on his farm and also loves the outdoors, hunting, fishing and watching the Atlanta Braves play. No matter where he races, you can be sure that "The Intimidator" has a following of fans who cheer him on every week - among those are his own children: Kerry, Kelly King, Dale Jr. and Taylor Nicole. 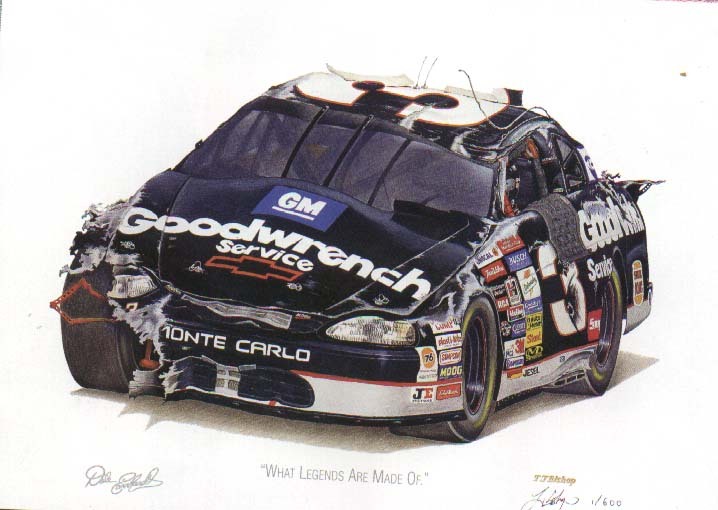 Dale Earnhardt has certainly come a long way from driving the first car, though it still embarrasses him to admit it, it was a far cry from the well-known GM Goodwrench colors, as instead of being black - it was pink! It is without a doubt that his father Ralph would be very proud of his son and how far he has come. always thought he was the best, even when I raced against him." Desire. That's the common denominator. about Earnhardt is his desire. it's at all possible. He'll find a way to get there. then or now. And he's got the talent." "I just want to win," Earnhardt says. points is a straight line. Straight driving. "Shoot, in the beginning, you just wanted to race,"
by a group of his peers. greatest honors a driver could ever receive." was renamed Dale Earnhardt Boulevard. "I want to do the best I can every race,"
don't. When I sit down in that race car, that's it. There's nothing else on my mind. race in 17 of those years. "I still want to win, I still have that desire,"
more as an attitude than a description. the greatest driver of all time. Oh boy, is it there. How am I going to get to the front?" 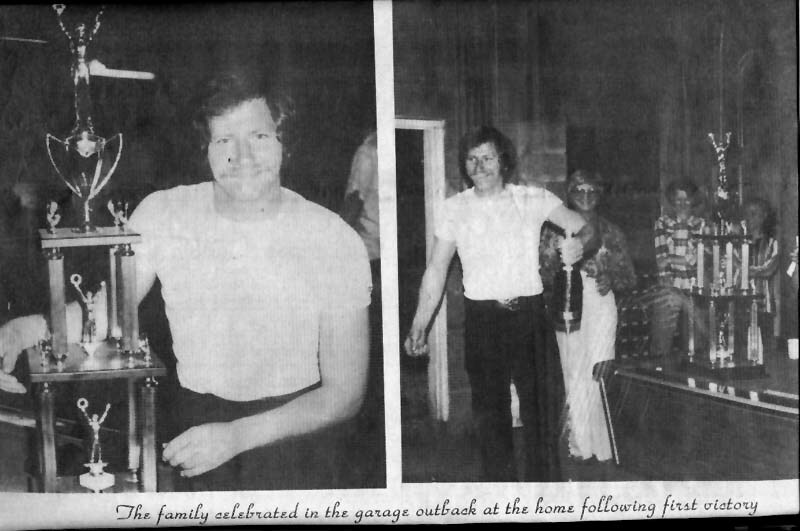 Earnhardt and Teresa were married on Nov. 14, 1982. 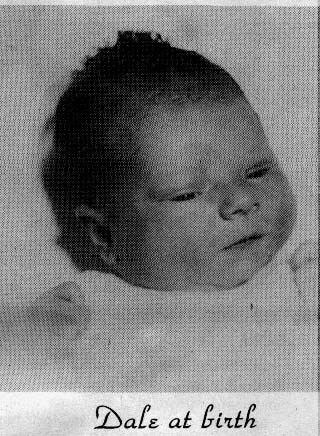 Dale Earnhardt Jr. and his mother Brenda. 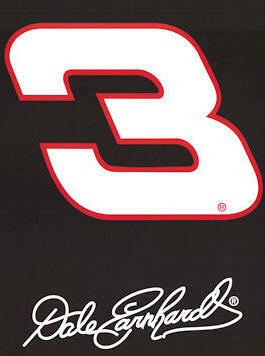 Though never a champion in NASCAR's Winston Cup Series division, Ralph Earnhardt was a driver of extraordinary talent. An acknowledged master of North Carolina short tracks, Earnhardt raced sparingly in NASCAR's elite division during his 23-year career. He won NASCAR's Sportsman Division championship in 1956 and in 1961 posted seven top-10 finishes in eight starts in the NASCAR Winston Cup Series division -- good for 17th in the points standings. In 1989, Earnhardt was inducted in the National Motorsports Press Association's Hall of Fame at Darlington (S.C.) Raceway. 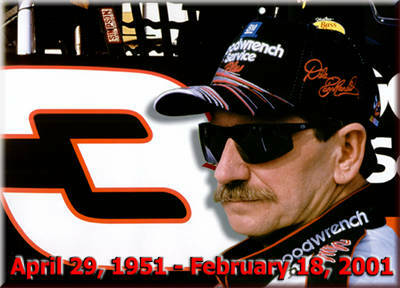 He was inducted into the International Motorsports Hall of Fame in Talladega Ala., in 1997. Only six months old and look at that determination on his face. You could tell then he was going to be great. Here's Dale at about a year and a half old. Look at those hands. You can tell they were made to grip a steering wheel. The Sun-Drop commercial wasn't just made up. 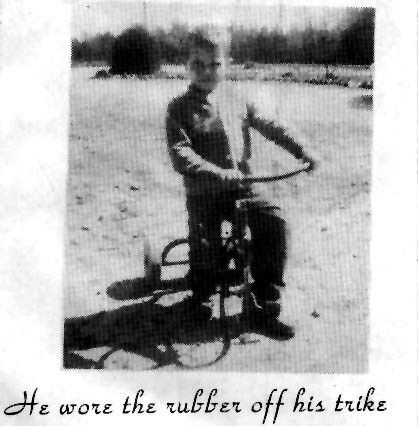 Here's the hero on that tricycle. "Wanna race for a Sun- Drop? Billy will never learn. Here's the handsome devil around twelve years old. You go get 'em Dale Earnhardt. 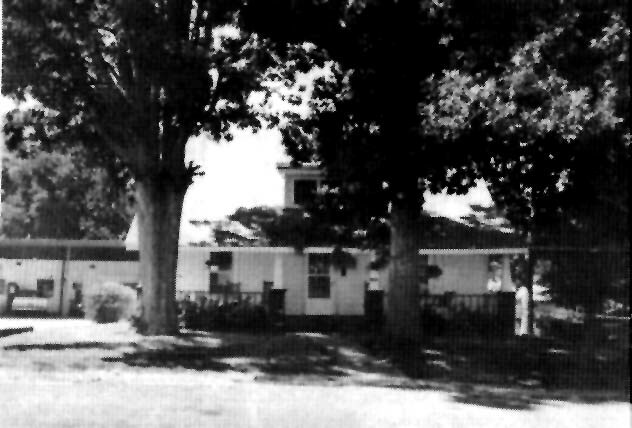 The Earnhardt family home on Sedan Ave., in Kannapolis, NC. Just across the street are two office buildings,but it was a field where young Dale Earnhardt raced his go cart as a child. The garage where the early cars and engines for racing were built is in the back yard of the house.Martha Earnhardt still resides at this house and has a trophy room filled wall to wall and ceiling to floor . Full of Dale Earnhardt's winning trophys.